Taking your company online is a little bit more complicated than simply starting up a website and posting the URL on your business card. In the simplest terms, you’re going to want potential customers to visit your site, click through your site, and ultimately turn those clicks into sales. 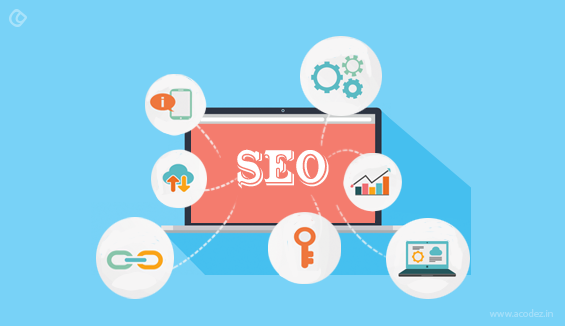 SEO stands for search engine optimization and is a marketing technique that revolves around growing a website’s visibility via search engines without paying for higher-ranking positions. In order to do this, your site has to be search engine- friendly, easy to navigate, include creative content, and hit on keywords/links that generate more traffic. The majority of website traffic comes from the most well known search engines like Yahoo, Bing, and Google. For that reason, keeping these search engines in mind when designing the structure of your site and creating new content is key to maximizing the opportunity you’ll have to bring people to your site. The way it works is when someone brings Google up on his or her screen, they type in the search query a keyword or phrase that they’re looking for. The search engine will look for websites that best match what it is they’re searching. Utilizing SEO methods will help the search engines to recognize your site as a good match. For companies with considerable competition, practicing SEO is a great way to stand out. Lacking SEO procedures could be counterproductive to your end goal of inviting more visitors to your site. In fact, if you don’t structure your site correctly or you miss major keywords, your site can be buried deep into some of the last pages of search engine results. Many firms or individuals like Jimmy Huh SEO Consultant can provide the complex services that SEO entails. With a “help me, help you” mentality, those who offer SEO services are there to drive your website’s traffic, generate leads, and consequently help you make more money. SEO is necessary because search engines aren’t as sophisticated as we might think they are. Whereas a human can look at a picture and describe what they see, the technology behind search engines can’t do that to the same degree as human brains can. SEO tools allow us to give the engine hints in order for them to decipher what the photo is. This brief analogy is truly just a very basic example of why creating a site that can be read by both people and the search engine is an important part of increasing visibility. Keyword research is a major part of ranking highly. Keywords can be very valuable if they’re identified properly and used in the right contexts. You want to be able to accurately recognize what words your customers are typing into the search box in order to find someone who provides the goods or services that you do. For example, if you own a marketing firm in the New York area, words like “Marketing NYC” might be a valuable keyword for your company. Including these in your posted content will bring potential customers who actually considering using your service to your site. That’s another reason why keywords are so important. Not only do they generate leads, but those leads are more likely to turn into sales. There are ways for SEO consultants and firms to actually value each keyword by use of collected data. They can do this by examining numbers like visitors, impressions, and revenue generated during specific amounts of time. Once the many other SEO tools are put in place, tracking success through the use of analytics and metrics is an important part of tweaking the approach. Traffic sources including direct navigation, referral traffic, and search traffic all add to the overall visitors on your site, but it’s good to know how much each source is contributing. Other aspects to track are how many pages are receiving visits from search engines, conversion rates from searches, and search engine referrals. Gathering this data can help to create a strategic plan and approach to bettering your SEO game plan. Even a basic understanding of SEO methods can help your website become more successful. If you’re looking to really make a difference in your sales, hiring a professional to take over this marketing approach is a great investment. But before hiring any SEO person you need to ask this SEO Interview Questions. How to insert SEO Keywords in An Article? How To Write Good SEO Content That Inspires Readers?